Welcome to Island Overhead Doors – Prince Edward Island’s trusted garage door specialists. We have been proudly serving you in Summerside and surrounding area since 2015. When it comes to buying or servicing a garage door system, we understand the importance of price and quality. From new construction to renovation projects, let us show you the possibilities! To make sure your garage door stands up to our wild weather, choose one of our Garaga garage doors. Made right here in Canada, all Garaga products are durable yet beautiful. For attached garages, we recommend an energy-efficient model, complete with high R-value insulation. For your convenience, we bring our products to you! Call us at 902-439-7907 to set up an in-home appointment. We will show you a variety of styles and colours that complement your home’s architecture. We also provide free online quotes on all of our residential, commercial, industrial and agricultural doors. When it comes to your overhead doors, we believe safety comes first. You and your family likely use your garage door as a main point of entry to your home. That’s why it’s important everyone knows how to operate it properly. Adding a quality electric door opener will make your doors safer and easier for your whole family to use. For reliable garage door openers, we recommend LiftMaster, made by Chamberlain. Each energy efficient model provides quiet and smooth operation, day in, day out. LiftMaster door openers come with one of the best warranties on the market. Interested in a LiftMaster opener? Call us today and we will have your new unit professionally installed in no time. To see the various openers we carry here at Island Overhead Doors, please visit our online gallery. We have models perfect for any residential or commercial garage door system. At Island Overhead Doors, our dedication to great customer service sets us apart from the competition. We stay on top of new technology and design in order to provide you with the best selection of products. 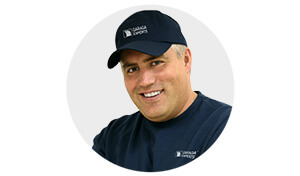 We guarantee your Garaga garage door will be properly installed, repaired or maintained by our specialists. Having problems with your overhead door? We offer 24h emergency service! And to keep your door running smoothly, schedule a preventive maintenance package. We will inspect your entire system and carry out any needed repairs. We service both residential and commercial grade doors. Contact Island Overhead Doors today at 902-439-7907 for all of your overhead door installations, service and repairs. We proudly serve Summerside, Borden, Kensington, Miscouche, Crapaud, Kinkora, Hunter River, Cornwall, Charlottetown, Wellington and more in beautiful Prince Edward Island. We look forward to serving you!